The Australian car wash industry is on the rise, with revenue growing 2.8% a year and expected to reach nearly $584.1 million by 2019-20, according to IBISWorld. There are 740 cars per 1,000 people in Australia – a higher rate of car ownership than all but six countries in the world. And restricted by water restrictions to a labour-intensive sponge and bucket at home, 43% of car owners in the country regularly use commercial car washes – so it’s easy to see why you can count on strong, stable demand in this sector. It’s a simple business model in terms of handling transactions. "Suburban car washes are cash or credit card businesses, so there are no debtors to invoice or chase," Diane Ross, a Melbourne-based car wash owner, told The Sydney Morning Herald. Furthermore, she adds, “should an attendant be suddenly ill or for any other reason not turn up for the shift, the business can still run effectively – as it does outside of normal nine to five business hours. So labour problems are minimal." Returns are highly variable, however, depending on the condition and amount of equipment on site. Ross – also CEO of the Australian Car Wash Association – says the average car wash would not survive on less than $200,000 turnover per year. Lifestyle. Washing your own car is time-consuming and not much fun. No wonder many people prefer to make what is a modest outlay – roughly between $6 to $15 – to liberate precious leisure time from menial tasks. Practicality. The rise of apartment and townhouse living means many motorists don't have a lot of space in which to clean their car. Using self-service facilities at the local car wash is a great alternative with the bonus of more efficient equipment. Water restrictions. The droughts of 2002-2003 and 2009-2010 prompted the government to impose water restrictions on citizens, so the local car wash immediately became the best option. Although many restrictions are no longer in effect, people got into the habit of using a third party. Environmental factors. There is an element of green conscience at play too. People are becoming more aware of not only water usage but also the polluting effects of water runoff in residential car washing. Car wash services tend to use superior water efficiency methods and recycle most water used. More pleasant waiting experience. The industry has wised up to the fact that customers were bored while waiting for their car to be cleaned when they could be spending more money – on coffee, snacks and other goods and services. Growing numbers of car washes are seizing the opportunity to generate other sources of income from this steady stream of customers. These days, when you pull into a car wash for a service, you probably wouldn’t be surprised to see a cafe on site serving gourmet coffee while you wait. What’s perhaps more unusual is seeing people conduct a weekly business meeting there. But increasingly, the car wash is becoming a place where local entrepreneurs multitask – closing a deal while sprucing up their wheels. Value adds like free wifi access and plush waiting rooms can also leave a positive impression. Some inventive owners have even introduced a dog-washing service. 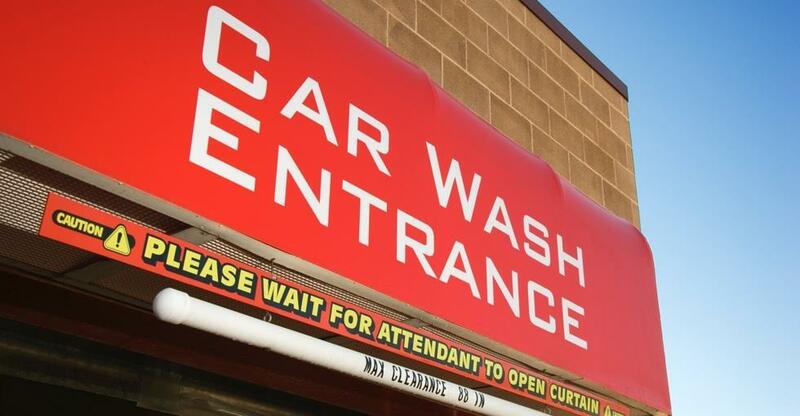 For many people, one car wash is much like another and the nearest one will do. However, offer a few extra conveniences and you can keep customers loyal. There are three basic types of car washing equipment: automatic systems, self-service bays and full-service hand washes. Or the budget, premises-free alternative is to buy a van kitted out with cleaning equipment to take the service direct to homes and businesses. As technology improves and customers demand more convenient options, the services on offer are expected to change to suit the market. In-bay automatic washes and conveyor tunnel washes will likely become more widespread, and services, in general, more automated. Customers are entrusting their second-most-valuable possession (and probably most valuable if they don’t own their home) to your care. A reputation for thorough, careful and brisk car cleaning is paramount – especially in a world where car washes are now rated online via Google My Business. Proximity to key markets. Is there a residential area nearby? Is the business on a busy highway or thoroughfare? Loyal customer base. Is the business providing a consistently excellent, brisk service – and perhaps providing a comfortable waiting area with coffee and snacks while customers wait? Use of latest technology and techniques. Is it deploying tools that clean cars more effectively, more quickly and more cost-effectively (therefore wider margins or lower prices)? Environmental awareness. Does the car wash have strong eco-credentials – and is it championing this fact in its marketing? Find out more about running a car wash here. Interested in buying a car wash? Read our tips for buying a car wash or take a look at our car washes for sale.